The all-new 2020 Jeep Gladiator will soon make its arrival at Wabash Valley Jeep! Are you an off-roading fanatic? With 4×4 capability, you’ll be able to adventure wherever your heart desires. You’ll feel closer than ever to the outdoors! Learn more about the open-air pickup that is setting new standards, the 2020 Jeep Gladiator. 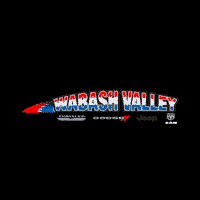 Contact Wabash Valley Jeep to learn specifications and pricing. Serving Fort Wayne truck shoppers.